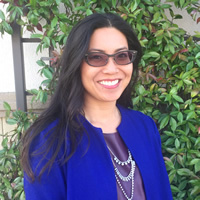 Dr. Ting received her Bachelor of Arts in Molecular and Cell Biology from the University of California, Berkeley in 1996. She continued her education at Southern California College of Optometry in Fullerton. Completing internships at Camp Pendleton in Oceanside, CA, Southwest Vision Services, Las Vegas, NV, and the Albuquerque Veterans Affairs facility in Albuquerque, NM she received her Doctor of Optometry degree in 2000. Dr. Ting holds licenses as follows: National Board of Examiners in Optometry: Treatment and Management of Ocular Diseases, 1999; Patient Care, 2000,California State Board, Optometry, 2000, California State Board, Therapeutic Drug, 2000.